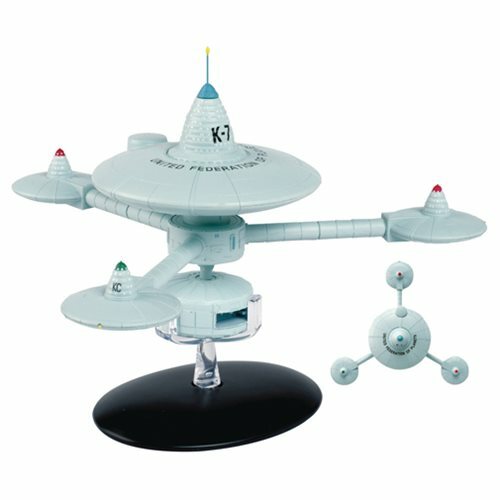 The Star Trek Starships Special #16 Deep Space Station K-7 with Collector Magazine features the fan-favorite Deep Space Station K-7 from the classic episode, "The Trouble with Tribbles." It has been painstakingly recreated in die-cast and high quality ABS materials then hand painted with an incredible level of detail. Ages 15 and up.